Although many people might think of tuberculosis as a thing of the past, it actually ranks alongside HIV/AIDS as a leading cause of death worldwide. Early diagnosis and correct treatment is effective, however the disease disproportionately affects vulnerable groups of people, and its spread is closely linked to barriers in access to information and healthcare, as well as stigma surrounding the disease and poor living conditions. Miners in particular have long been considered at high risk for tuberculosis and other lung diseases due to poor working and living conditions. Across the industry in Southern Africa, the incidence of TB is 10 times higher than the WHO threshold for a health emergency, and tackling this issue is particularly complex due to the nature of the illness and the make-up of both the workers and the industry. To successfully cure TB, treatment must be strictly followed over a period of at least six months. The mining population often includes a large proportion of migrant workers, which also presents challenges for people seeking testing and diagnosis, as well as efficient follow-up and treatment. In an important step towards addressing this issue in the region, in February this year the Global Fund & the World Bank signed a landmark US$30 million grant to pilot innovative models to reduce the rate of TB in the mining sector across 10 countries in Southern Africa. 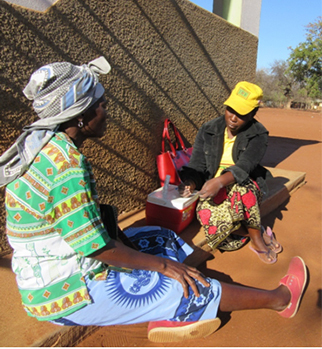 As part of the grant, Humana national member ADPP Mozambique will be coordinating a regional pilot program to address some of these key challenges across 8 countries: Zambia, Malawi, Botswana, Swaziland, Namibia, Mozambique, Lesotho and Tanzania. 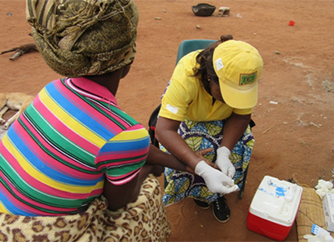 Under ADPP management, five national members of the Humana People to People network and three other NGOs will coordinate active case finding of TB in mining populations across the region. Leading UK-based organisation TB Alert will provide technical support throughout the program. The pilot builds on Humana’s experiences in combining HIV/AIDS and TB outreach through its TCE & TC-TB programs and is the first of its kind to be implemented at a regional level. The model integrates a door-to-door approach to provide accurate information and increase awareness as well as facilitate TB screening and HIV testing, referral for TB testing and treatment at healthcare facilities and support throughout treatment periods. By providing these services and incentives for both TB & HIV, the program also aims to tackle the increasing numbers of co-infection in the mining population. By the end of the pilot in December next year, implementing organisations expect to have honed the model to provide four effective surveillance models for different contexts that can be replicated and expanded to other target areas. Moreover, it expects to screen 214,000 miners, ex-miners and family members for TB across the 8 countries, as well as substantially increase awareness and decrease stigma surrounding the disease in mining communities.